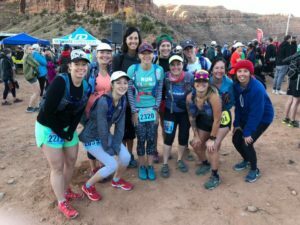 Women’s trail running group starting in August 2019! Running with others is so much more fun! Join us for weekly group runs local coaches and guides where we will explore new trails, meet new running buddies and support and encourage each other. Options available for women looking to train for a summer trail race or just benefit from coached/structured runs. Last year’s Moab trail half marathon and adventure weekend! 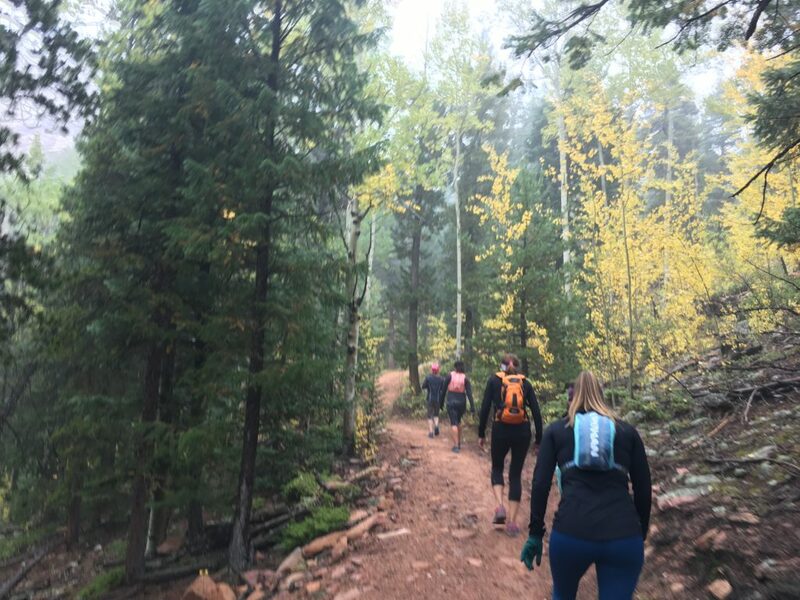 10 week program with 2-3 coached group runs/training session options a week at different trails across the front range at the best places to view fall colors! 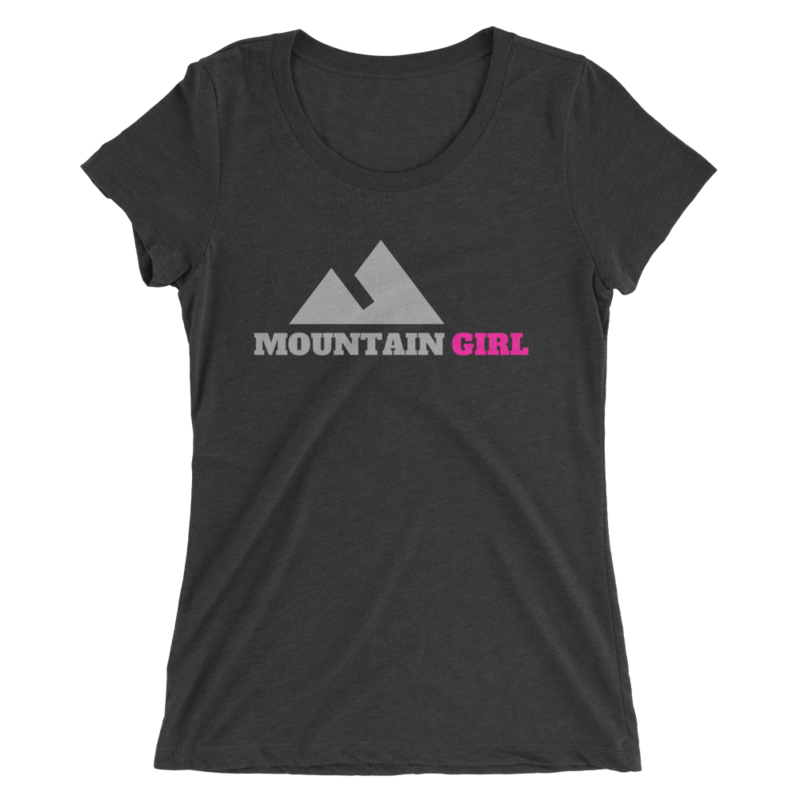 Meet other women who love trail running to train with! Option to train for and complete a local trail race with the group! Discounts on race entries, shoes and gear! Access to the private L2S training group for the duration of the course. This is where we will post updates and share useful articles, strava maps of each run, workouts and videos. This will also serve as a community where you can talk, share stories, experiences, tips and meet other women to go on some trail runs with! What can I expect in the sessions? Weekend long runs will start around 6-7 miles and will gradually increase in distance (up to 12 miles). Some runs will be completely casual, just a group of ladies heading out for a run together. Evening sessions will be structured with intervals, hill repeats and specific objectives to accomplish. These runs will be shorter, between 3-6 miles. A handful of sessions will include strength training, track workouts, form drills and core work. —–> View pictures from previous year’s programs HERE! OR new to trail running in general? Check out our women’s beginner trail running courses starting in June 2019, these sessions pair coached sessions on the trails (starting with 2 miles and building up to 6) and clinics with expert guest speakers on topics that range from the best gear/shoes for trail running, safety on the trails (like what to do if you see a rattlesnake) and more! Early morning/before work sessions this year! * After you register a detailed itinerary will be sent to your inbox with exact dates, times and locations. Train for a trail race!! For those signing up for the full program and attending most of the group runs, we will be increasing mileage weekly, working our way up to completing a trail 10k or half marathon. We will have discounts + groups training for a variety of fall events including the Snow Mountain Ranch 10k or 1/2 marathon our the big event for the season is the Moab Trail half marathon! Join us for a destination race/adventure weekend full of hiking, mountain biking, canyoneering excursions and more fun. Want more support and guidance + ideas of what you should be doing on your own outside of the group runs? L2S now has custom training programs for Colorado trail races! These programs include suggested runs at key trails across the front range, hill/stair/track workouts, strength plan and more. Training group participants save $ on our new plans too. Learn more now HERE. —–> **L2S members save %15 and are eligible for free entry giveaways. After you sign up for membership you will be sent a welcome packet with discount codes for all of our programs, learn more HERE. Sign up now, spots are limited!! 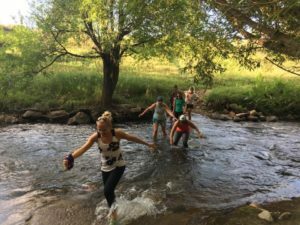 Lauren Jones grew up running the trails in Littleton Colorado and hasn’t stopped! She has her degree in exercise science and sports performance and has raced competitively for the last few years. Kriste Peoples loves exploring the trails across the state. She is a Ragnar Relay pro ambassador with tons of experience on the trails and with night running! You will catch Kriste cheerleading with the back of the pack runners and regularly leading runs too! Christy Burns is an experienced ultra runner and licensed therapist. Lisa Choi, certified trainer and veteran trail runner, will be joining the runs as a trail blazer, pacing and encouraging the back of the pack runners and filling in to coach periodically.